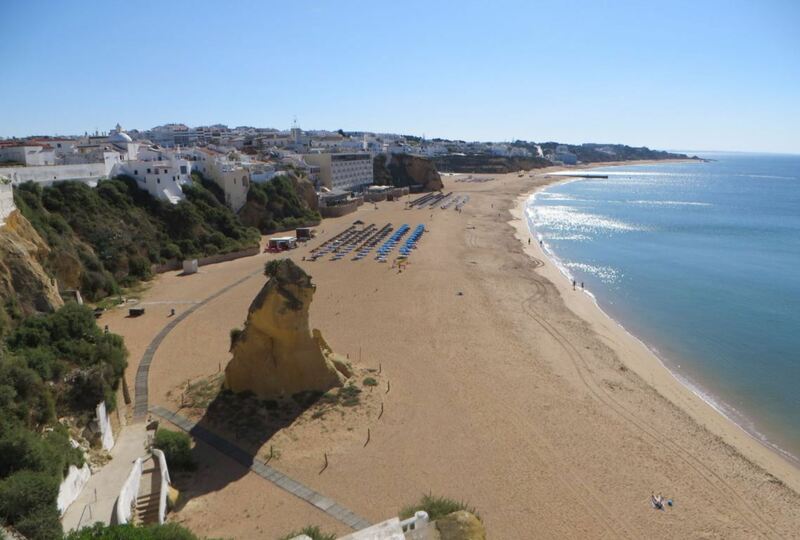 Praia do Túnel (also known as Praia do Peneco) is a city beach, near the old town of Albufeira. 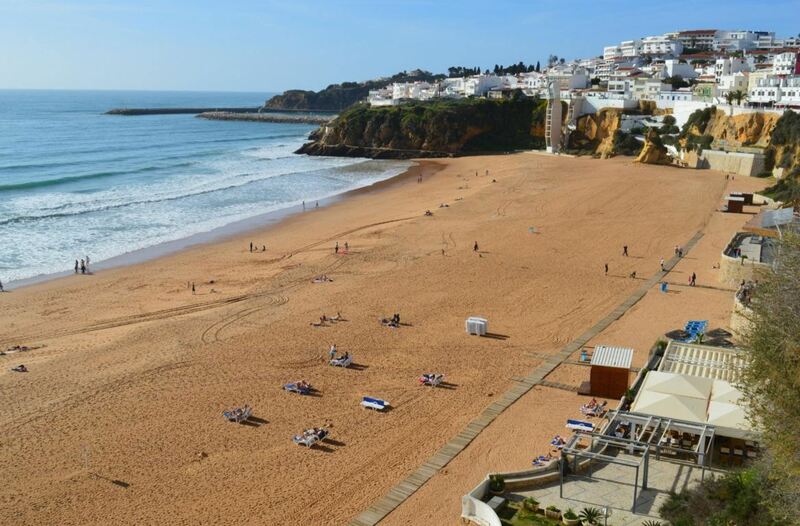 It is one of the most popular beaches in the town of Albufeira, together with Praia dos Pescadores. To get a general idea of Praia do Peneco, watch the short video below. Praia do Túnel is surrounded by stunning yellow sandstone cliffs. Make sure to watch the sunset from the cliffs above, which is gorgeous. The sand on the beach has a golden colour and feels quite soft. The water is clear and is not too cold. There can be good waves on this beach and the current can be strong, so be careful with small children in the water. On some days the waves are good enough for surfing. Also be warned that the water gets deep very quickly. But in general, Praia do Túnel is a great beach for families and couples. In the summer, there is a sort of inflatable water park for kids in the water. Children love to play here. If you want to enjoy water sports, the best thing to do is to walk to Praia dos Pescadores. There are many options over there, including jet ski and the banana boat. Praia do Túnel is located just to the west of Praia dos Pescadores. Be warned that in summer, Praia do Túnel can be very crowded. After all, this is a city beach. But due to the vast size of the beach, it is also easy to find a spot on the beach. The beach is mostly visited by tourists, but you will also find many Portuguese people (especially in the weekends) on Praia do Peneco. 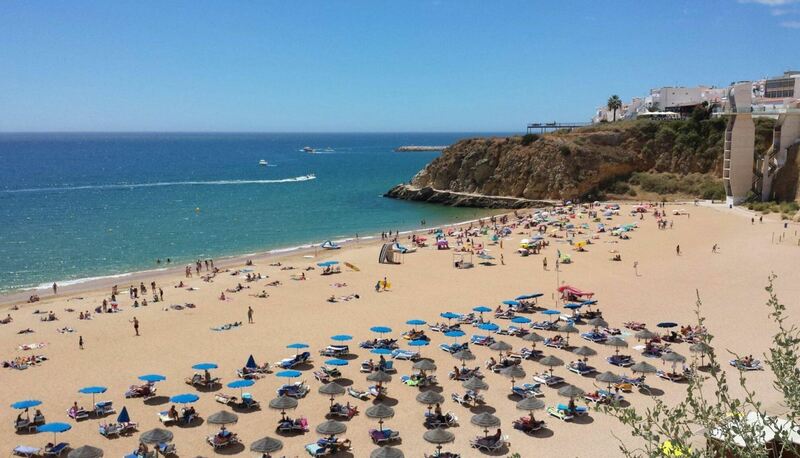 If you prefer a more quiet beach, there are better options in the Algarve. It is possible to experience Praia do Túnel from where you are right now, by viewing a 360 degree picture of this beach. Praia do Peneco is perfect for a nice walk on the beach. With low tide, you can walk via Praia dos Pescadores, all the way towards Praia do Inatel (to the east). If you like collecting shells, this is your beach, since there are so many shells here. When you walk to the west, you will find many restaurants and bars. Here you have a nice view over the sea and a group of houses. From Praia do Túnel you can make a walk to the cave of Xorino (Gruta do Xorino). This is a cave that was used as a shelter by the Moors to hide after the Christian conquest of the town, in the 13th century. This cave can be found by walking to the western end of the beach. There you will see a promenade, which will end at the cave. 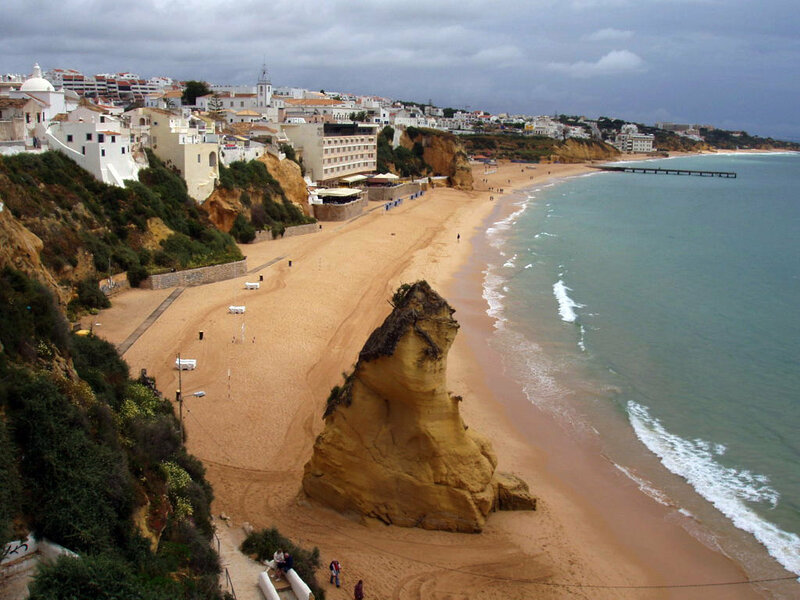 The beach can be reached via a man-made tunnel through the cliffs, coming from the old town of Albufeira. The tunnel links the beach to the old town. This is why the beach is called Praia do Túnel (Tunnel Beach). 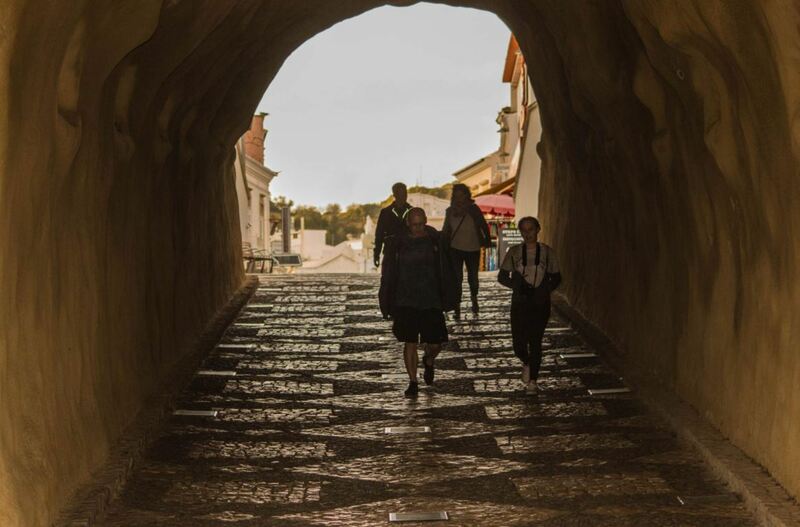 The tunnel is situated near the tourist office and is about 20 meters long. This is the main entrance to the beach. Other ways to reach Praia do Peneco are by stairs and by elevator. In the old town, you will find many restaurants, shops, bars and beach supplies you could ask for. Another way to reach Praia do Peneco is by elevator: the Elevador do Peneco. This elevator also takes you quickly back up to the old town. Finished in 2008, this elevator is one of the touristic attractions in the city. The elevator is 28 meters tall and can take 13 people up or down at a time. The elevator is also a great viewpoint. From the boulevard on top of the elevator, you have a nice view over the beach. In 2018, the construction of a new beach bar was completed. It is called Roca Beach Bar. You can have lunch here, buy ice cream or grab a cold beer. The beach bar also has free toilet facilities. This is very convenient when you are on the beach. Os Arcos. 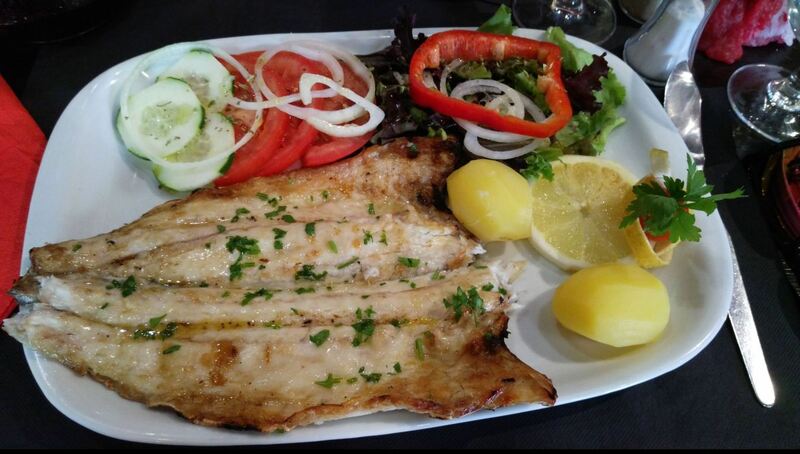 This Portuguese restaurant is a favourite among locals. It offers fabulous fresh fish and great service. The atmosphere is nice and prices are not too expensive. Jaipur. This Indian restaurant is one of the best of Albufeira. The food is excellent and the service is great. If you like spicy food, this is your place. Oishi. This restaurant serves sushi and Japanese food. They have an all you can eat buffet. 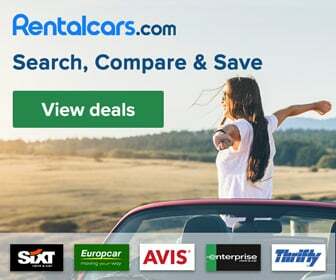 Moreover, it provides great value for money. 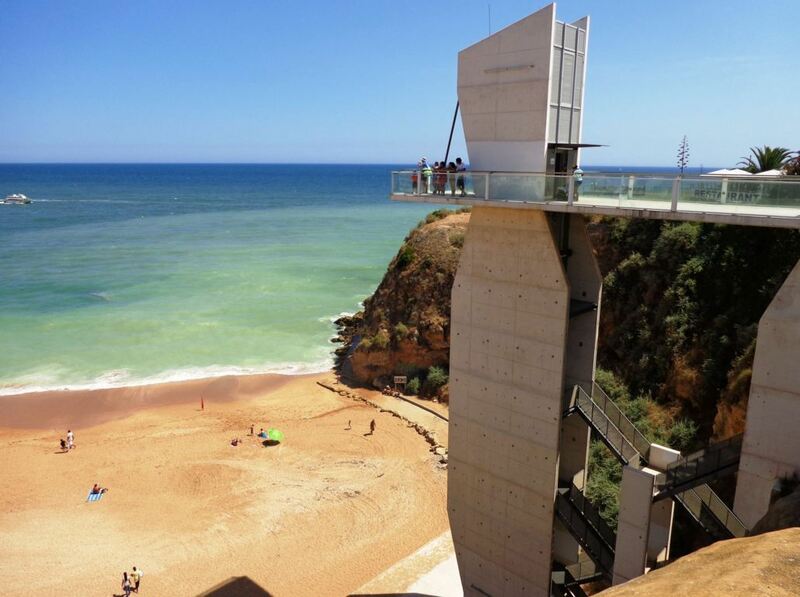 To get to Praia do Túnel, you can enter the following address in your GPS: Esplanada Dr. Frutuoso da Silva 9, Albufeira. You can park in the streets around the old town. Parking spots can however be limited. 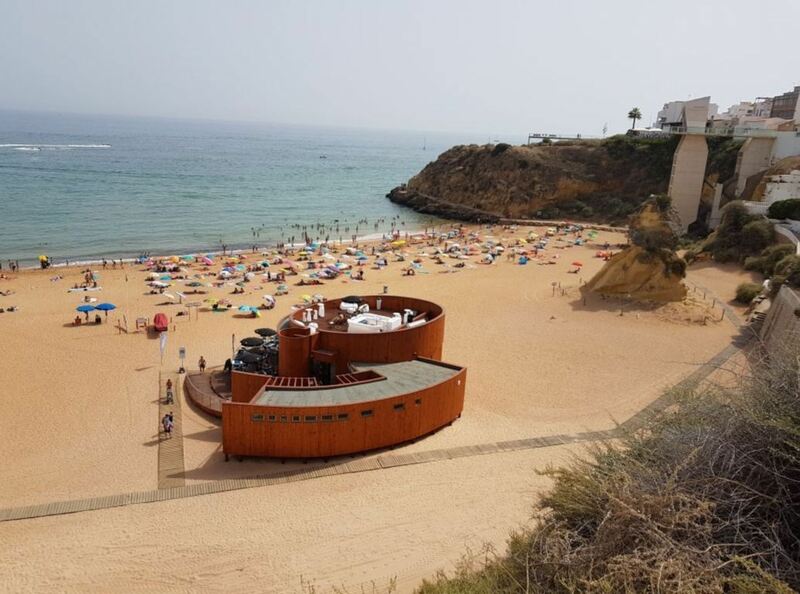 Coming from the old town of Albufeira, you access the beach through the man-made tunnel. 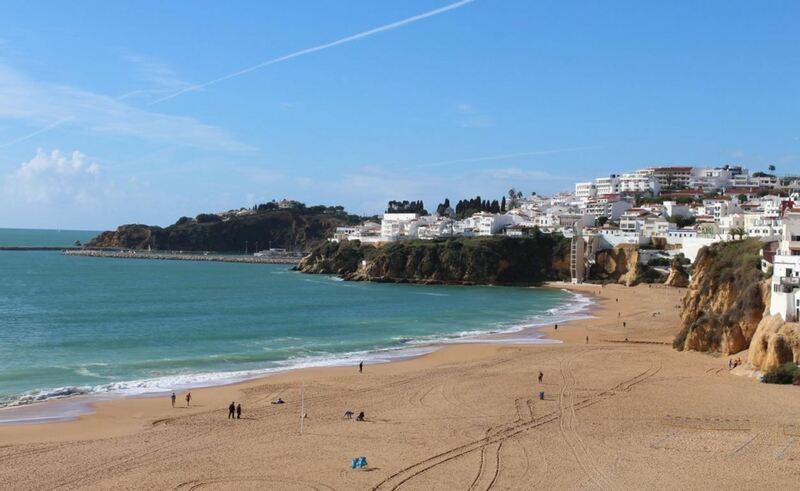 The good thing about Albufeira is that you have so many things to do, including a great variety of excursions. It can be nice to stay on the beach, but excursions can help you explore another side of the Algarve. Did you know it is possible to see the coastline by boat? Below you can see some of our recommended excursions in the Albufeira area. Rocamar Exclusive Hotel & Spa. This modern hotel offers a luxury spa and rooms with sea view. This hotel is highly rated and is great for two travellers. This hotel is for adults only. Al-Buhera Palace. This stylish hotel is located right next to the elevator and offers rooms with a great view over the sea. Frentomar. 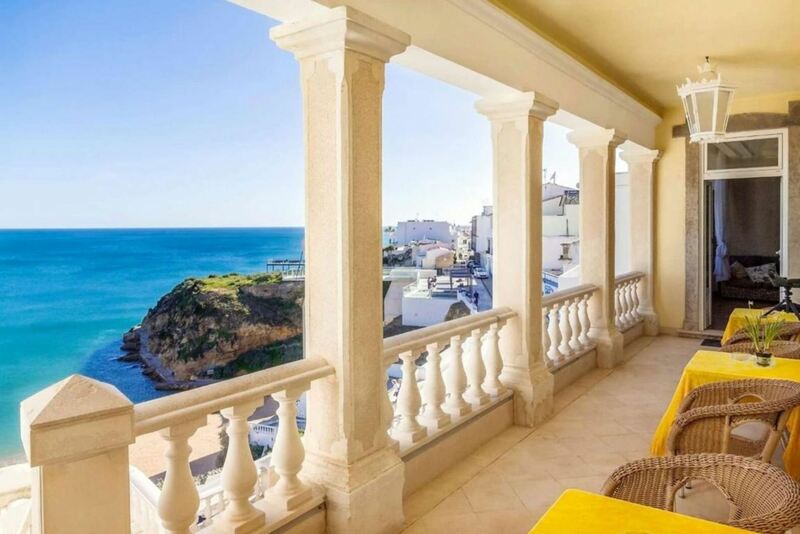 Located right next to the beach, this hotel has rooms with balconies overlooking the beach and the sea. There are many bars and restaurants near the beach. Many tourists spend the day relaxing at the beach, and in the evening they have dinner in one of the nearby restaurants in the old town. After dinner, there are many other things to do in Albufeira, as there is a vibrant nightlife. The beach is easily accessible, also by wheelchair.